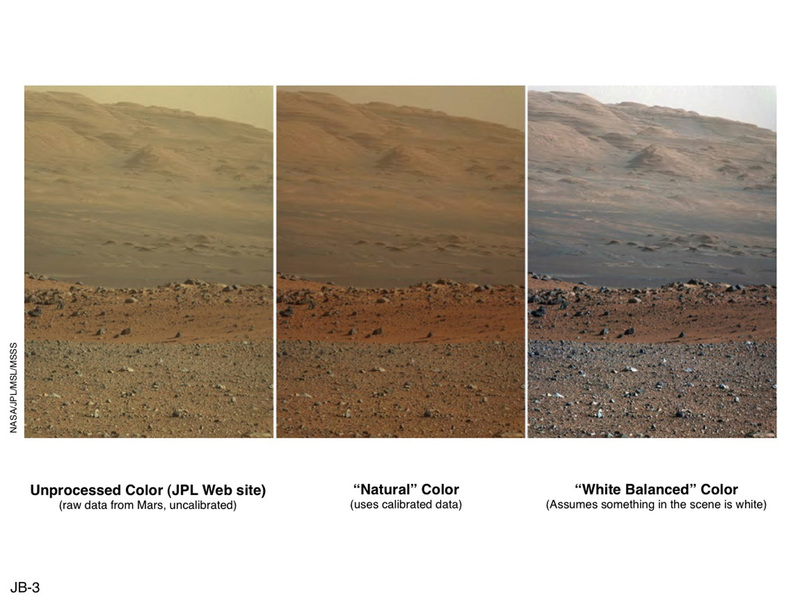 Some conspiracy theorists ask “where is the robotic arm?”, “who took this photo?”, “who holds the camera” etc. The view does not include the rover’s robotic arm. Wrist motions and turret rotations on the arm allowed MAHLI to acquire the mosaic’s component images. The arm was positioned out of the shot in the images, or portions of images, that were used in this mosaic. This process was used previously in acquiring and assembling Curiosity self-portraits taken at sample-collection sites “Rocknest” (PIA16468), “John Klein” (PIA16937) and “Windjana” (PIA18390). Curiosity Rover’s planned mission duration was two years 668 sols (687 days). In December 2012, Curiosity’s two-year mission was extended indefinitely. Today, as of March 24, 2018, it spent Current: 2001 sols (2056 days) since landing, and we don’t expect a pit stop any time soon. During this time, the car-sized rover covered a distance of 11.6 miles (18.7 kilometers). The rover’s primary goal was to determine if Mars was ever able to support microbial life, as well as determining the role of water, and to study the climate and geology of Mars. In the video below, Curiosity Project Scientist Ashwin Vasavada gives a descriptive tour of the Mars rover’s view in Gale Crater. The white-balanced scene looks back over the journey so far. The view from “Vera Rubin Ridge” looks back over buttes, dunes and other features along the route. To see where the Curiosity rover is now, visit NASA’s “Where is Curiosity?” web page. To aid geologists, colors in the image are white balanced so rocks appear the same color as the same rocks would on Earth. Curiosity Project Scientist Ashwin Vasavada gives a descriptive tour of the Mars rover’s view in Gale Crater. The white-balanced scene looks back over the journey so far. The view from “Vera Rubin Ridge” looks back over buttes, dunes and other features along the route. Characterize the broad spectrum of surface radiation, including galactic and cosmic radiation, solar proton events and secondary neutrons. 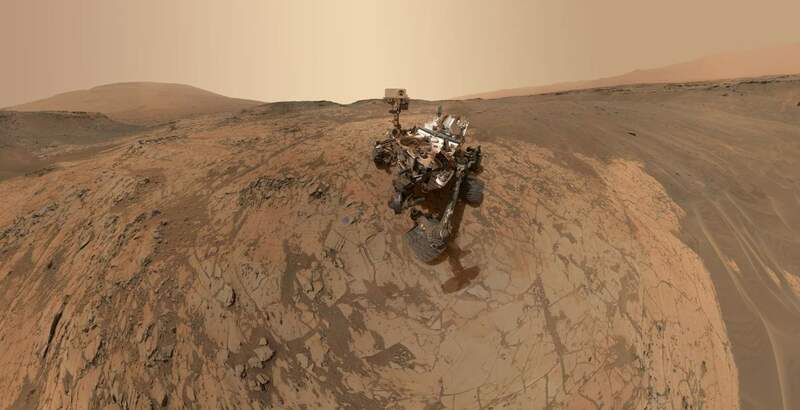 As part of its exploration, it also measured the radiation exposure in the interior of the spacecraft as it traveled to Mars, and it is continuing radiation measurements as it explores the surface of Mars. This data would be important for a future manned missions. About one year into the surface mission, and having assessed that ancient Mars could have been hospitable to microbial life and finding active, ancient organic chemistry on Mars, the MSL mission objectives evolved to developing predictive models for the preservation process of organic compounds and biomolecules; a branch of paleontology called taphonomy. A sidereal day is the length of time it takes a planet to rotate from the perspective of a distant star. For the planet Earth, a sidereal day is approximately 23 hours, 56 minutes, and 4 seconds. By contrast, solar time is reckoned by the movement of the Earth from the perspective of the Sun. The “solar day”, or simply “day” is 24 hours, so it is slightly longer than the sidereal day because of the amount the Earth moves each day in its orbit around the Sun. For a great explanation of what is a sidereal day (or a solar day), watch the video below from 5:30. “How Earth Moves” by Vsauce.